I Was going to get 3 pomeranian puppies from this number and it was like pulling teeth to get them to talk to me in person. finally i get a call and the guy hardly speaks english, and they wanted me to send them money via money gram or western unionm so they could book a flight on pet express. i was stupid and i sent the money western union and they went to pick up the money and western union said there was a compliance issue and would not give them the money. i lucked out i think. 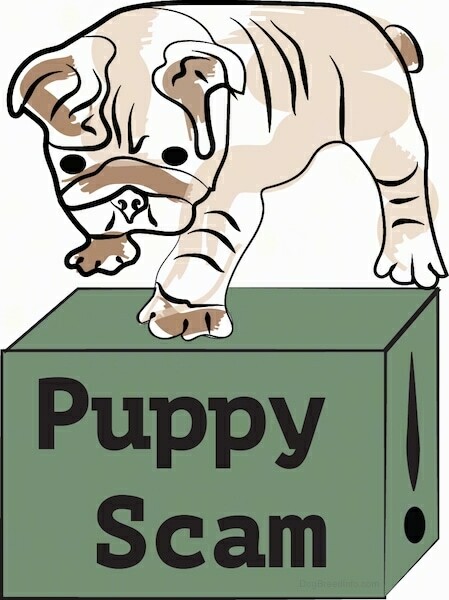 i started looking into pet listings and i started seeing "beware of scammers. scammers will ask for you to send them money through money gram and western union and to not do it!!" it's a scam. i have to call western union back to get my money refunded. i started seeing signs of a possible scam. when they could not get the money i got text after text after text to call western union to tell them to release them the money as they were there to pick it up. they said that western union was being careful about releasing money to their "NAMES". NAMES? why names, plural. and i was sent their address to give to western union and when i called texted them that i could not find the name they sent me in all of our 33 emails i told them to text me the name. well i already had the address but when i got the text back it gave me the name and address again i was already given, but a completely different zip code from the one they emailed me before. and the name texted to me was "elisha", then another text say the name was "eliah". told them i could not resend money until i got it back from western union in a few days to buy some time to call the pet express animal transport people who a closed on weekends. wanted to check on shipping fees and what their requirements are to transport a pet. i know that they require verification of shots and other stuff. when i told him that i was seeing "SCAM WARNINGS" on the pet express site and on other animal sites, all saying not to send money through money gram and western union he said it's the world we live in.....I KNOW THAT!!! I HAVE BEEN SCAMMED ONCE! when i told him i would still want to talk to his wife and that i would want a pic of all 3 pups together in one photo and to hold up a hand written sign with todays date and his name on it, he said that he could do it now. but when i said i was getting nervous after reading about scammers wanting money gram and western union he got upset and said that he did not like dogs and wanted to get rid of them right away and that he was allergic, then went on tell me he would just give them away to get rid of them and hung up on me. also in our conversation he said that they made reservations on a flight out today and that i would have to pay so that they could send the dogs...he said that they made the reservations with the address and everything i had already given to them... I NEVER GAVE THEM ANY OF MY INFORMATION...NONE!!!! also when i received texts i tried to call them back on the number and it would ring about 5 times and then beep and disconnectt!!! that was when i knew. SO BELIEVE THE WARNINGS ON THE INTERNET AND DO NOT SEND MONEY TO PEOPLE THROUGH MONEY GRAM AND OR WESTERN UNION. THIS IS THE PREFERRED PAYMENT FOR SCAMMERS! THEM: "Hello. Thanks for the interest you have in our puppies. they are now ready to go home and have the following characteristics Breed: Yorkshire Terrier Puppies Age: 12 weeks old Recognition: KC registered Health Problems: No health problems Living Conditions: can live anywhere. Training: well trained. Health Condition: Excellent health condition,vet checked, registered and confirmed health guarantee. Socialization: easily socialize with children and other home pets. My name is Ranibel and i would like you to tell me a few things about yourself. Please can you tell me where are you located? Do you have a vet and have you ever had a pet before? Are you married and do you have children? Do you have a playground for them ? Can you take care of them and give them all the love they need ? Which of the puppy do you need ? I just want to know a little about you so i can evaluate if you home is good for my babies each of them will cost you just $200 which includes the change of ownership document cost , from my names to your names any pet loving and caring home. What i need is a good loving and caring person who will take good care of them If interested in adopting this lovely puppies , i will be waiting for your reply as soon as possible." I RESPONDED WITH: "PLEASE TELL ME WHERE YOU ARE LOCATED:" I said nothing more nor did I answer the above questions and this is what was sent back to me. THEM: Hello , Thanks once more for the reply and i am more than happy and now convinced that your home will be that perfect home for the puppy . The puppy will be coming to your house with all health papers, vet records, playing toys, a puppy bed and all accessories since i will have no use for them when you have the puppy with you . I currently live in Victoria Island,Cameroon and it will take just 6 hours for the puppy to be transported and delivered to your house. There's is no need to worry about because transportation and delivery right to your house since my husband will pay all that because we want you to get the puppy as soon as possible. So all you will be spending is $200 which shall be for the transfer of ownership documents from my names to your names to show that you are now the legal owner of the puppy. So all we need from you now is your complete delivery information since we shall be using them in sending the puppy over to your home. Full names Country City State Street address Postal code Phone number Nearest airport to your location And the names of the puppy which you are interested to have ?? Once we have your complete delivery information , We will immediately go to the airport and have the puppy registered under your names and address, As soon as we are done with the registered of the puppy the airport will email you a copy of the transfer of ownership documents and also the flight details for you to know about the departure and arrival time of the puppy at your house. So about the money you are going to pay the money directly at the airline company here in Cameroon so that they can proceed with the transfer of ownership document from my names to your names. I am so anxious and very happy you will soon be getting the puppy . I just can't wait to see pictures of you and the puppy once the puppy get to your house. Waiting to read from you soon and may God bless you. Ranibel and Family"
I RESPONDED WITH: "CAN I PICK IT UP?" NO MORE COMMUNICATION WAS EVER RECEIVED. The scammer's telephone number is 302-278-4443 and goes by Jenifer Lowsen. MAKE SURE YOU REVERSE SEARCH THE IMAGES THEY SEND YOU. Mine were stills from youtube videos. You just download the image or simply drag it into the google imagges search tab. "Hello Nice reading from you and the interest regarding my baby puppies A male and a female I have for free adoption.They are still available for any good home.I have always wanted them to get the best of love from their next home.I don't want to give them to a breeder or and animal rescue, i need a new home and want them to have just what they have always had...they have so much love to offer, if you promise to accept them with a open heart and arms. They are spectacular,Stunning, Gorgeous.Fabulous Baby doll Face,short Cobby body,weighs 2.32Ibs and estimated to have an additional weigh of1.25Ibs at full grown up age, short legs and confirmation.Home raised with a very good personality.They are just the happiest little puppy you will ever see.they will make a very good family member with their very great quality,sweet and loving temperaments.they are spectacular Designer Purse Puppy to take everywhere with you and they are lover too.Loves to give lots of kisses hugs.Have always been around children and other pet and very used to being together. she is A KC reg,current on all her recent shots and dewormed,vet checked with all her vet and registration papers available and up to date,potty,paper and crate trained.This Babies will be coming alongside with all their play toys,health's and reg papers.. As for our location ,We are located in Portland,Oregon USA where i will be shipping this puppy/puppies to your location safely What we am concern about here is your assurance on their health,good care and.they needs so much love caution and stability.If your home is open to this darling,they will be on their way to your home and i am really hoping it happens.Recent pictures of the babies attached to this mail so that you can have a general view of their beauty and how they look like because they are from the same litter.Get back soon lets see how they gets to your home...OK. Waiting for your mail in anticipation of getting a sure response on taking good care of them when they reach you site.. Are you married?,,,,,,,,,,,,,,,,, Do you have kids?,,,,,,,,,,,,,,, Have you ever kept a puppy?,,,,, Where are you located?,,,,,,,,,, What do you do for a living?,,,, How soon do you want these puppies?, How many of them will you be taking home?" Ad was in the Atlanta area but then suddenly she lived in Portland Oregon....but her phone number was traced to Deleware but her pictures were from a British breeder. I questioned the validity and thankfully didnt fall for it, but she turned as soon as I asked for more pictures. "Got scammed but did not send money. I answered and ad for free pugs. I am looking to adopt an older dog but i was willing to considere a younger one from a family who could not take care of it anymore. First email was somewhat norma. Lots of questions (legit dog shelters do that do...) The only thing that bothered me was that the ad said "Montreal" 9I live 50km away from Montreal) and in the email she was saying that she was in Thunder bay. the whole shipping of the dog was also suspicious. I asked a couple of questions regarding transport but she did not answer. Then i googled her name and email address "Angella Muerey" and found this page. That was it. i knew. I sent an email saying i was not going to fall for this and she REPLIED "Why do you say that to me i am real!" They're hungry......So i sent a last email saying: ok if you are real, send me the dog and i will pay upon delivery. That was it. No more answers after that. I reported the scam to my government's anti-fraud center. be careful folks..."